What Caused The Recent Salmonella Poona Outbreak? A&W’s Limited Edition Pole Grown Cucumbers that may contain salmonella are the subject of a nationwide recall. 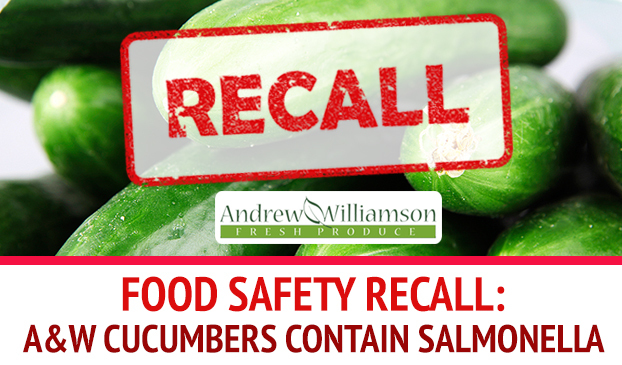 Andrew and Williamson Fresh Produce (A&W) has issued a voluntary recall of Limited Edition® label cucumbers that may be the source of a recent salmonella outbreak. A&W is located in San Diego, California, but the contaminated cucumbers have been sold in an estimated 22 states. The most recent salmonella outbreak has spread to 27 states. The Salmonella Poona outbreak has spread to 27 states while the food industry scrambles to find the source. The recall includes produce labeled “Limited Edition Pole Grown Cucumbers,” sometimes referred to as “Slicer” or “American” cucumbers. The cucumbers are dark green, measuring 7 to 10 inches with a diameter of 1.75 to 2.5 inches. They were sold between Aug. 1 and Sept. 3, 2015. A&W is recalling the produce because it may be linked to the most recent outbreak of Salmonella Poona. The toll includes 285 reported cases in 27 states, according to the Centers for Disease Control. Salmonella can cause fatal infections in children, elderly people or anyone with a weakened immune system. The virus can also infect the bloodstream, leading to more severe illnesses such as arterial infections, endocarditis and arthritis. 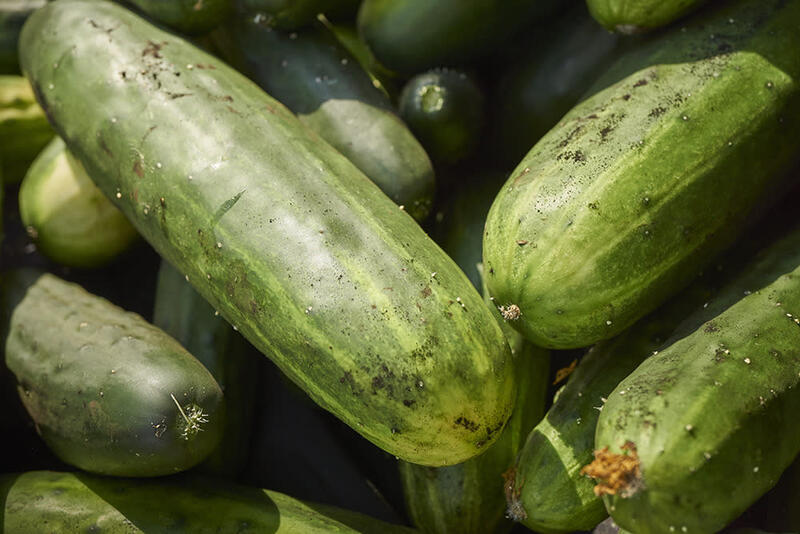 The cucumbers were grown in California and sold in Alaska, Arkansas, Arizona, California, Colorado, Florida, Idaho, Illinois, Kansas, Kentucky, Louisiana, Mississippi, Minnesota, Montana, New Jersey, New Mexico, Nevada, Oklahoma, Oregon, South Carolina, Texas, and Utah. They product would have been sold as a wholesale bundle package in supermarkets or served in salads at restaurants. Consumers could come into contact with the product through retail, food service companies, wholesalers or brokers. Hundreds have been sickened by cucumbers contaminated with salmonella. Two of the infected have died. In addition to recalling the product, A&W has halted the marketing, harvesting and packing of cucumbers that could be contaminated with salmonella. The company is working hard to find the source of the salmonella outbreak and prevent the virus from continuing to spread. If you bought A&W’s Limited Edition® brand cucumbers, do not consume them. Return the product for a full refund or immediately throw them away. If you have any questions, contact the company through the A&W website or by phone at (844) 483-3864.